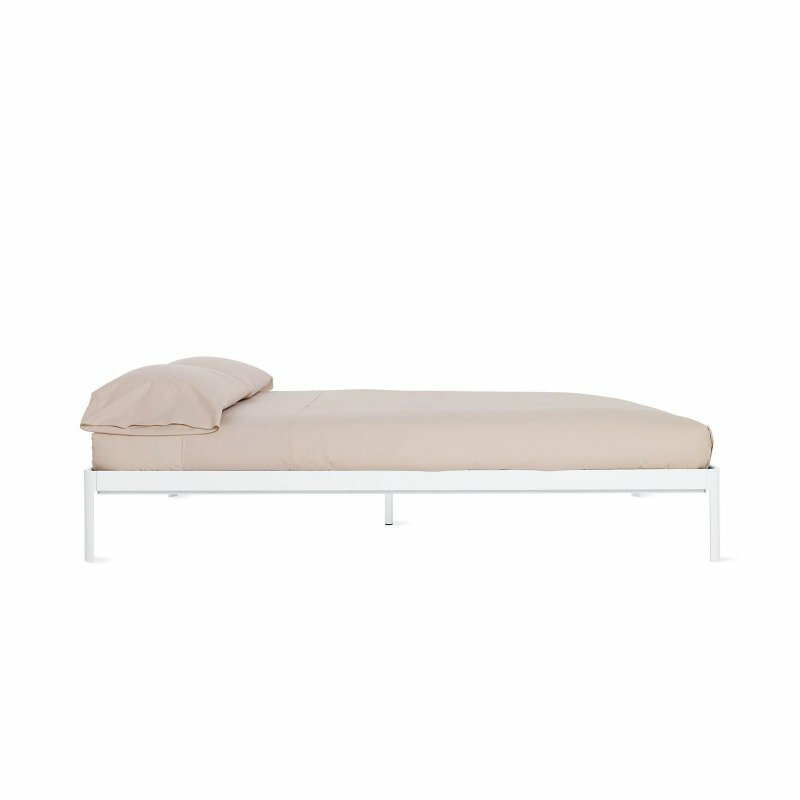 Matera Bed is a wooden bed frame with a natural and simple beauty, designed by Sean Yoo for Design Within Reach. The Matera Collection features clean lines nicely finished with beveled edges, running match wood grain and exposed-slot mortise-and-tenon corner joints. 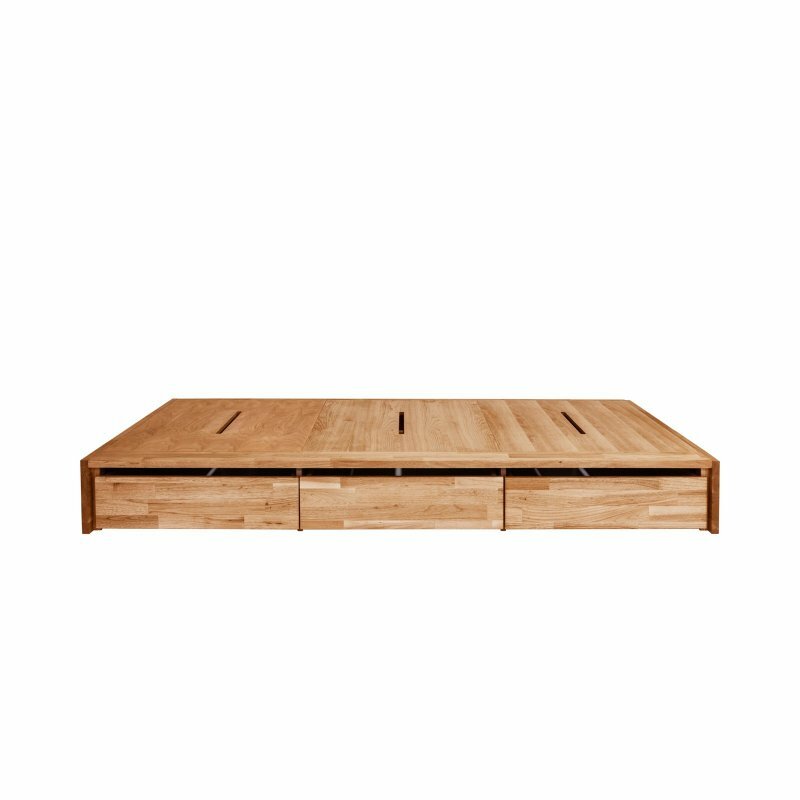 All pieces have slatted bases that lend an airy feel. 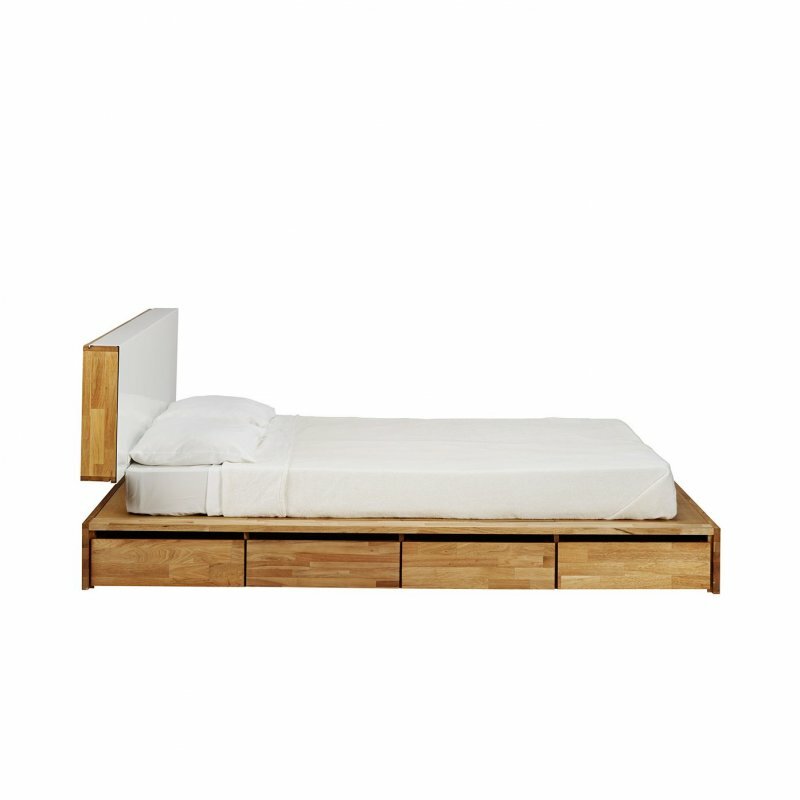 The Matera Bed has side panels that rest off the floor. Made in Malaysia. 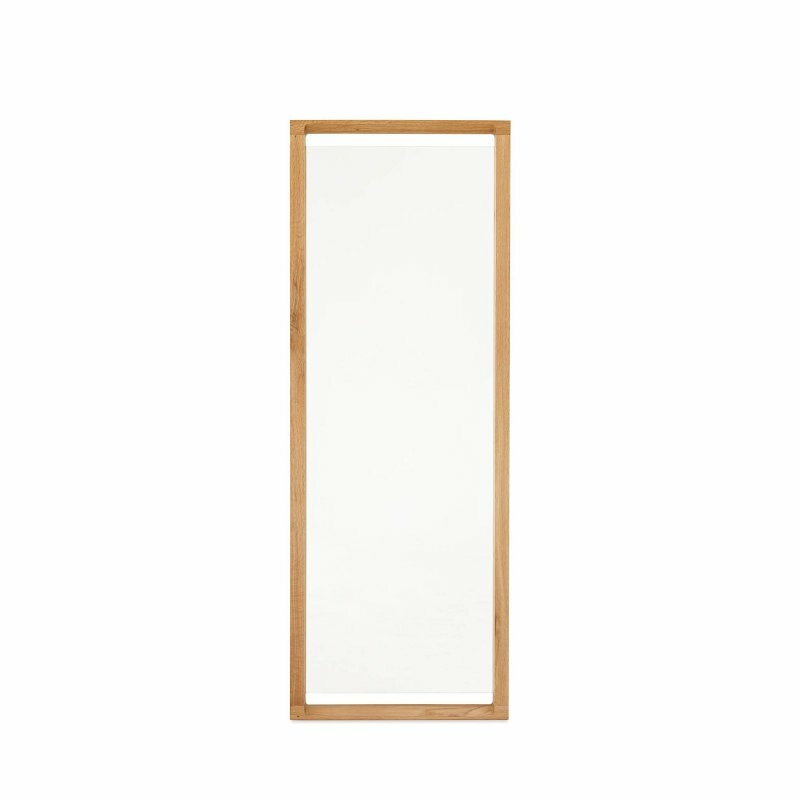 Solid walnut or oak case frame, bed rails and drawer fronts; Walnut or oak veneer over MDF headboard and footboard with thick solid walnut or oak edging; 0.5" solid ash bed slats; Vacuum-closing drawer glides.